Whisky bottler Compass Box is celebrating its 15th anniversary with a new, limited edition blended Scotch called “This is not a luxury whisky”. 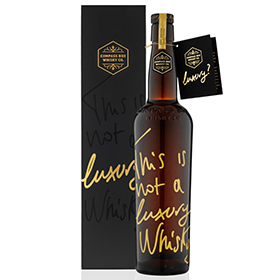 This is not a luxury whisky is said to “challenge people’s perceptions” about the luxury whisky sector. Inspired by Belgian surrealist artist René Magritte’s 1929 concept piece, The Treachery of Images, the new whisky is said to “challenge people’s perceptions about what represents a ‘luxury’ whisky – or, put another way, a whisky worth paying a lot of money for,” said Compass Box founder and whisky maker, John Glaser. Four “parcels” of whisky were used to create This is not a luxury whisky. 19-year-old Glen Ord was blended with two 40-year-old grain distilled at Girvan and Strathclyde, and 30-year-old Caol Ila malt. “As whisky makers, when we say ‘luxury’ what we’re talking about is the liquid, the flavour, the experience of enjoying the whisky,” Glaser continued. “Late last year we came across a parcel of astoundingly good casks of malt whisky from the Glen Ord distillery: sherry butts, distilled almost twenty years ago. We fell in love with them immediately, secured every cask available in the parcel, then set to work blending them with other whiskies to help us create something even more compelling. 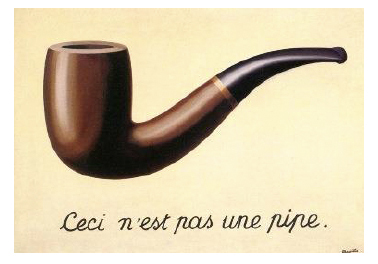 Magritte’s image of a pipe, the inspiration behind the release, features the words “Ceci n’est pas une pipe” – or “This is not a pipe”. The work is often interpreted as saying that the painting itself is not a pipe; it is an image that doesn’t have the same qualities or functionality as the actual object. “Similar to what Magritte did with his painting of a pipe that claimed it was not a pipe, we wanted to see what would happen if we put a rare, old, expensive liquid in an explicitly ‘non-luxury’ container,” continued Glaser. This is not a luxury whisky is bottled at 53.1% abv, its natural cask strength. 4,992 bottles will be available across Europe from 15 October at £150 SRP and in the US from 12 November at $225 SRP. Earlier this year it was announced that Bacardi had acquired a minority stake in Compass Box.